With the birth of a new royal baby to happen and all the press hype around this in the near future, I decided that it would be something that our children particularly KS1 and Y3 or Y4 would be interested in. I have popped a couple of ideas down here on ways you might like to celebrate the birth of the baby! (I have focused on a song, a card and a baby layette - so we have listening and joining in, simple copy writing and some DT and writing simple full sentences to describe clothes for a baby). Celebrating the addition to a family with a silly French song about the family! Prince George is about to be the big brother. Here is a song about a "little" brother and his dummy. Family nouns are also introduced into the song (maman,papa, cousin,cousine) so you could create a simple family tree too and don't forget to add the grandma and grandad and perhaps aunts and uncles too! Could be a great song to practise in class and then sing to the school in a class assembly and guess what ...act it out! Click on the link above and find the lyrics . Just a bit of fun but what should the clothes for a royal baby look like? Can the children anticipate the hobbies and interests of the future royal baby and add these to the designs of their clothes? Will the baby be a footballer, a dancer, a musician etc? Why not ask the class to design some clothes for the new royal baby .We use the word "layette" too here in England. If the children are moving on in their language learning ,can they write simple full sentences about the items they design- noun, verb and adjective? And don't forget to write a card to celebrate the birth of the bay. 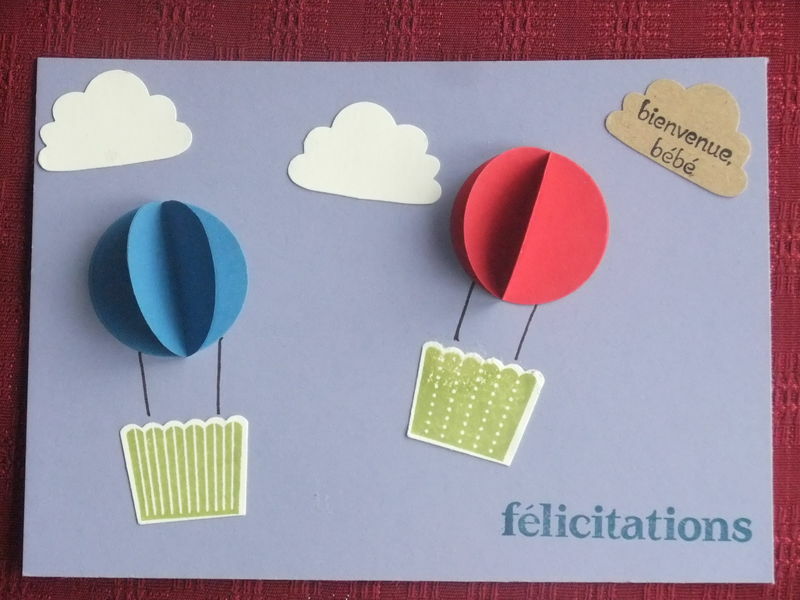 I love these cards below as I think the balloons are fabulous plus the language is so simple that we can use this in KS1 and Year 3 to make a fabulous display celebrating the birth! Practise , sing and perform! 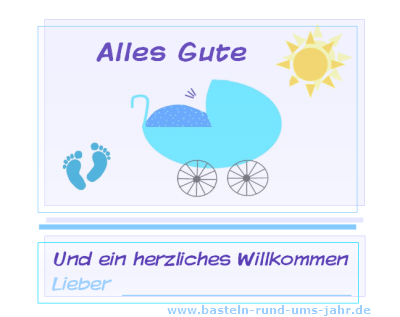 Create a German layette for the baby too just like the French idea above! Older PostTeam work to develop deeper learning in primary languages.